Ayurveda is a science that dates back to 5000 years and is one of a kind natural system of healing and treating diseases. It is considered as the ‘oldest healing science’ by a lot of scholars. Ayurveda has the treatment for all big or small health conditions and we provide them all at DJI Ayurveda. Ayurveda believes in the overall healing of the body and any ayurvedic treatment includes the healing of both mind along with the body. Treatment of various diseases with all natural practices is one of our specialities. You can book one of our packages or consult us regarding your health condition and DJI Ayurveda will provide you with the perfect treatment for it. 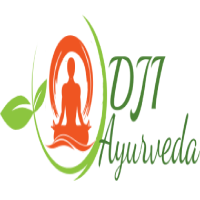 Why Are DJI Ayurveda Treatments Beneficial For Your Body? 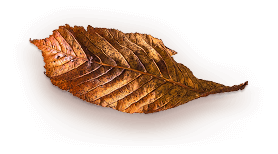 In Ayurveda, it is believed that there are energies that flow through the body and they are called 'Doshas'. There are three doshas including Vata, Pitta and Kapha. All of these three doshas needs to be in a sync in order for a person to stay healthy. These doshas are affected by different factors and the most important of them is Agni which is the fire of Metabolism. The metabolism and digestion is the most important factor in keeping a person healthy. The treatment at DJI Ayurveda not only helps you in identifying the actual cause of the problem that you are facing but also helps you in maintaining the overall health of your body. With the ayurvedic treatments, all of your energies are brought in sync and your body as a whole is treated naturally. The treatments include medication as well as diet changes along with some other techniques that are specially designed for each person. If you have any other queries regarding the treatments at DJI Ayurveda, give us a call. We will be glad to answer all your questions and design special health plans according to your needs.